Since becoming a mom, there have been more times than not that I have felt like a clown in a circus, trying to keep 6,7,8 balls in the air all at the same time. Or balancing two plates on poles all while maintaining perfect balance so that they do not come crashing down, shattering at my feet. Between work, family and home obligations, and trying to squeeze a little time in for myself, there are times where I wonder how I can get it all done. I wrote a post about whether or not moms can have it all and at the time, I was leaning more towards no. That at some point, somewhere, something has to give. It's either sacrificing career or not being there in the way I wish for my kids/family. All or nothing. Black and white. But despite feeling a little discouraged I couldn't help but think of all the things that I HAVE found help me balance everything while not feeling stretched too thin. And that like much everything else in life, it's all about balance. 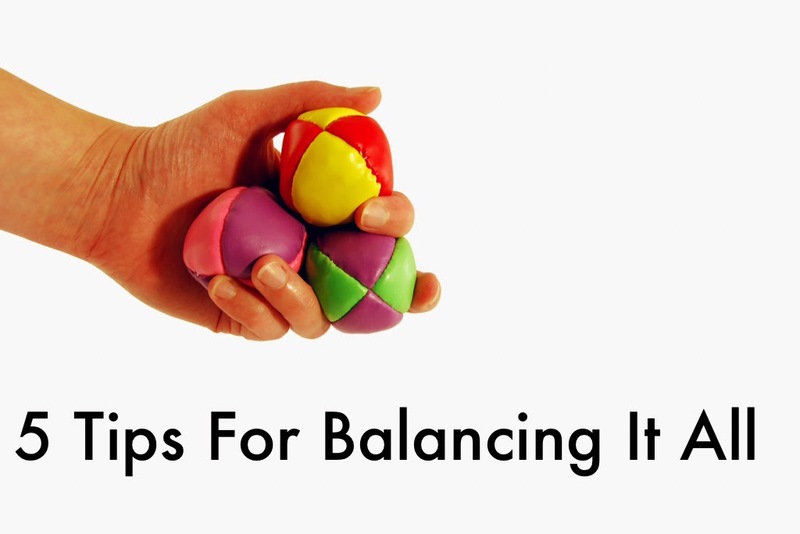 So, here are just five things I have found that help me maintain balance in my life. 2.) Keeping house maintained- I know I've wrote here before about the importance of smelling the roses once in awhile. But at the same time I know that we ALL function better in a clean, organized house. I try to keep the motto that my house needs to be presentable if someone would stop by randomly. It's something I learned from my mom and it's something I try to emulate; of course it doesn't always happen but it's something I strive for. While I know that our kiddos will remember the time spent with them, not how clean the house was; I have found that if I can stay ahead of the curve on those things it makes for much smoother mornings and evenings. 3.) Quick clean up before bed: Before I head up to bed, I span our main living area and pick up any loose ends and place them in a basket I keep at the foot of the stairs. It then comes up with me so that I can get those things put away. In the morning, I do the same thing- anything that needs to be put away downstairs gets put back into the basket to be carried down. Before I go to bed, I also make sure all the dishes are put away and the dishwasher has been run, if needed. There is nothing worse to realize the next day that there is a full load of dirty dishes. 4.) Set a cleaning schedule that works for you/your family: In our family, I do regular picking up during the week as needed. That might mean a quick sweep or vacuum. But my main cleaning is on Sunday. Sunday is my day to deep clean- I do the baseboards, walls if needed, dust, toilets (EW) etc.. That way during the week all I'm doing is simply maintaining the cleanliness. I also do all of our laundry on Sunday. I make sure it's folded and put away by the time the girls go to bed at 8 besides our cloth diapers. I also know that in the past when I have let laundry go, we've been living out of laundry baskets and it just doesn't make for very smooth mornings. And the wrinkles! So, it has to work for your family but establishing a cleaning schedule/routine will help you figure out where and when things need done. If we know we have plans on Sunday, I will tweak things and start on Saturday or just do a quick clean up and know that I'll get to things the next weekend. That's it! Remember it doesn't take HUGE changes. One small thing a month to start if it feels too overwhelming. Schedule time for yourself. Doing these small things every week make me feel more encouraged that maybe, just maybe we really can have it all! We had a productive, busy, and fun weekend. We've been getting ready to celebrate Saidey's 2nd birthday and are all outfitted in everything red and black. We have family coming in this weekend and are so excited to see everyone. We also got Spring fever and cleaned out the garage, reorganized the storage shelves in there and cleaned and vacuumed both cars. WHEW! Have a great week all and if you don't already, try out one of those tips and let me know how it goes! 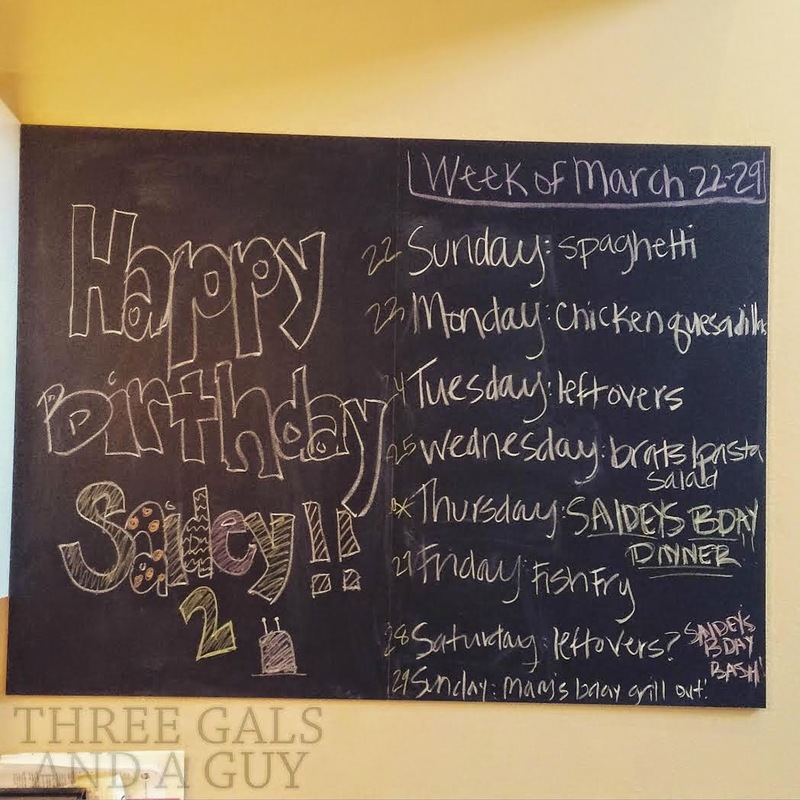 We love our chalk board! What a good big sis! 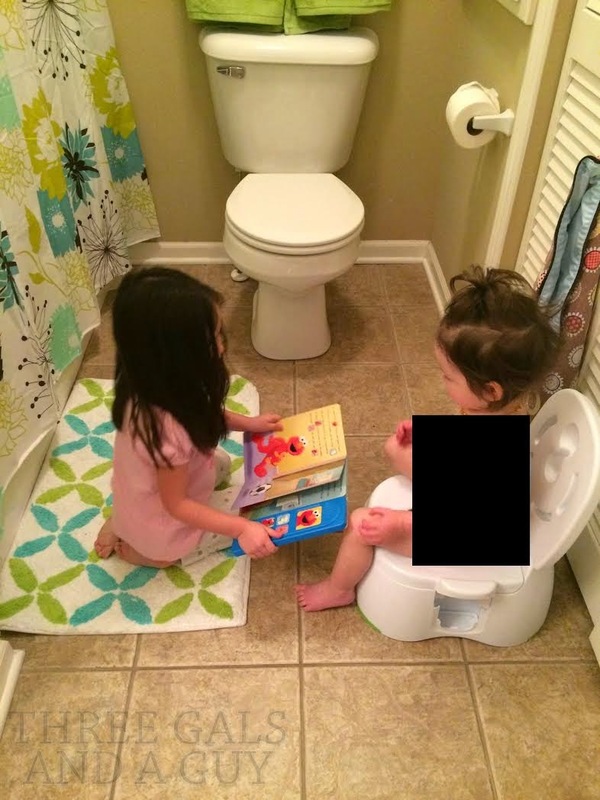 Reading to Saidey while she tries to use the potty! 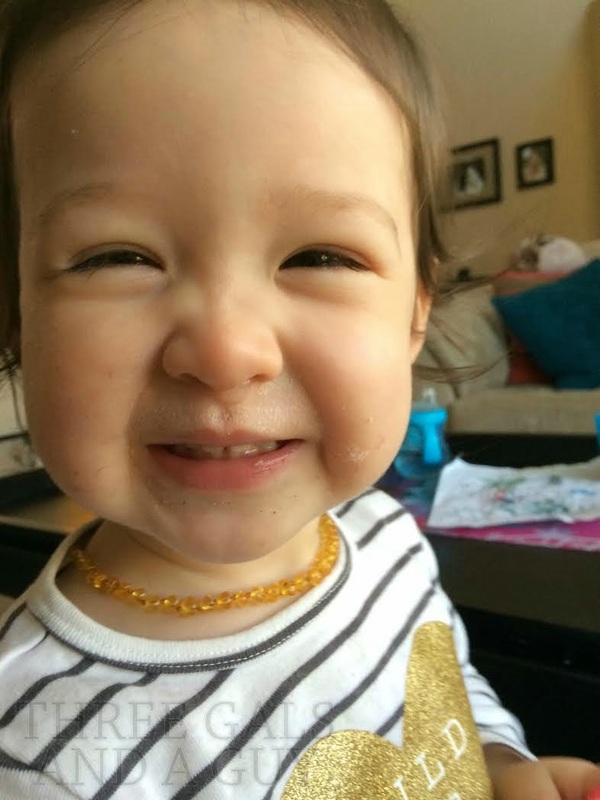 I can NOT believe this girl is going to be 2.